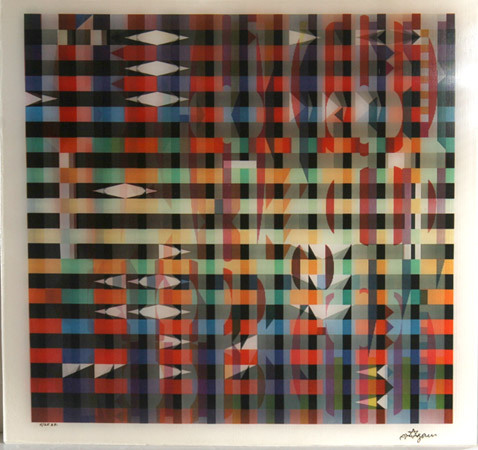 SPLENDID YUCATAN MAGIC PRINT, YAACOV AGAM - SIGNED. This is a wonderful exciting print. Featured in several important published works on the artist. Limited Edition features sophisticated brilliant color tones in this print, excellent! Made of the very Finest Archival Museum quality MINT CONDITION is highly desirable for collectors. This item selling in Upscale Art Galleries and Museum galleries when and if it can be found. This item is subject to availability. This is perfect for any elegant home, office, restaurant or place of business. 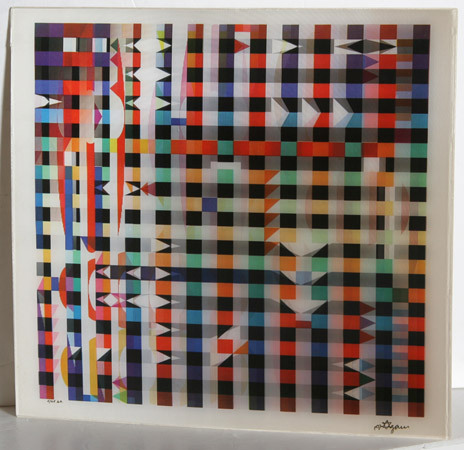 WE CARRY SEVERAL Yaacov Agam works in our inventory. Click the button below to add the Beautiful Yucatan Magic Agamograph,Yaacov Agam - Signed to your wish list.